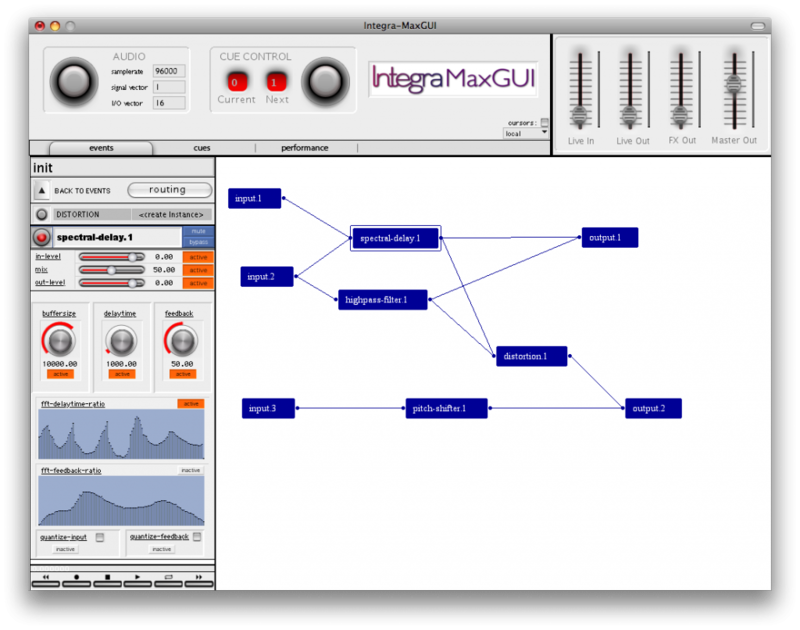 Integra brings together six research centres and five new music ensembles and is led by Birmingham Conservatoire at Birmingham City University in the UK. We are developing a new software environment to make music with live electronics, modernising works that use old technology, commissioning composers and overseeing an exciting programme of performances. Aims: To establish a European performance tradition of music with live electronics; promote interdisciplinary dialogue between scientific and artistic communities; encourage the creation of new work using technology across art forms; support creative use of live electronics technologies within educational institutions; advocate widespread adoption of the Integra software environment – a European composition and performance environment for sharing live music technologies. 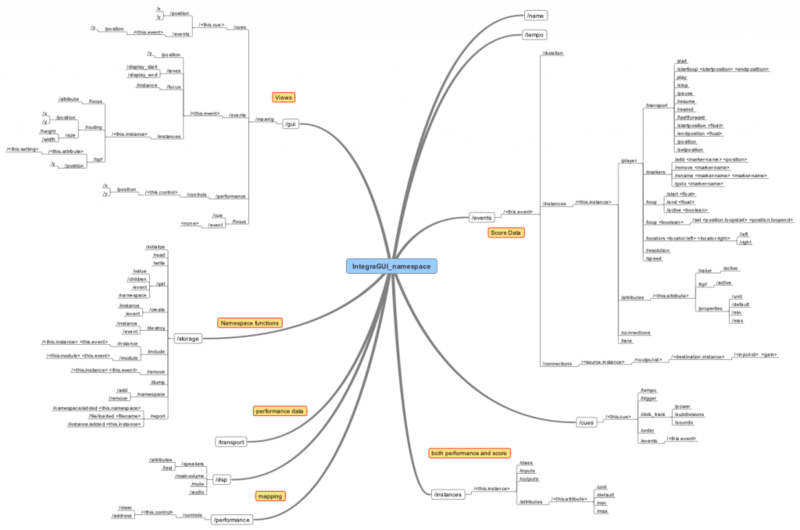 Below is a screencast giving a whistle-stop tour of the software. 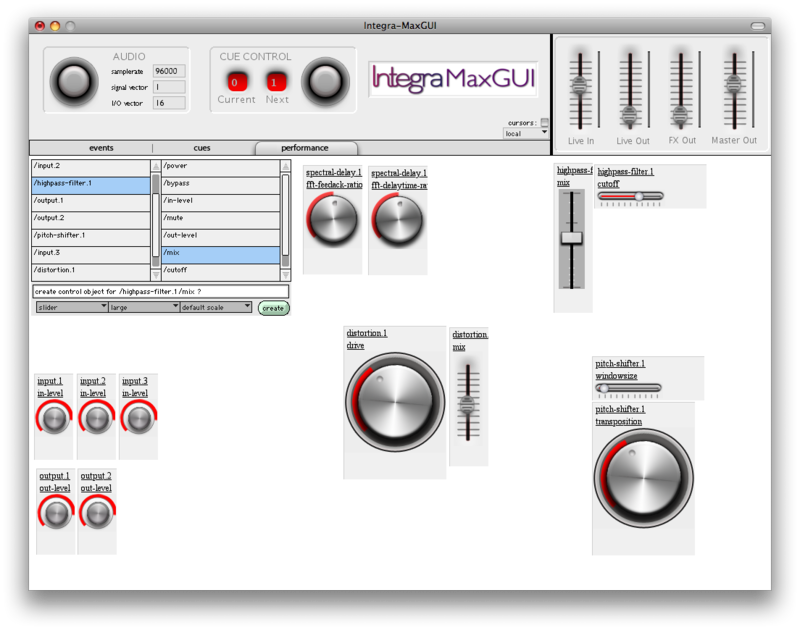 Integra GUI prototype screencast from Integra Lab on Vimeo. 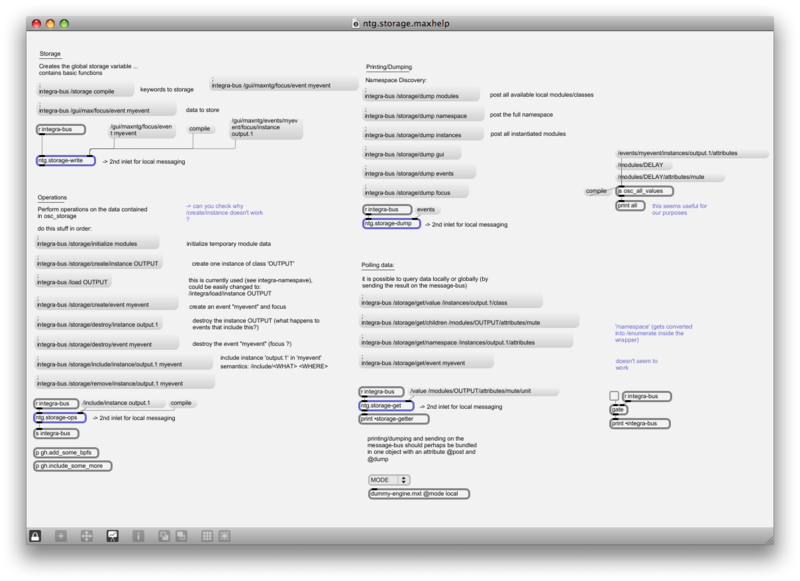 The EVENTS PANE: showing a Module Inspector on the left, and a Graphical Representation of signal Routing on the right.